A pocket square is professional, stylish and versatile. Wearing one is a great way to change the look of a suit just by adding that little pop of color in your pocket, and because it’s a smaller statement piece you can go any way with it—trendy, classic or bold. The pocket square dates as far back as ancient Greece and Rome. It has evolved from a perfumed linen handkerchief used to disguise strong odors to the style accessory it’s known as today. Originally, handkerchiefs were kept in the pockets of men’s trousers because displaying one was considered uncouth. It was only in the 1900s that the handkerchief moved up to the breast pocket of a jacket, and thanks to its popularization by Hollywood’s leading men in the 1930s and 1940s, the pocket square soon became a sought-after accessory. Decades later, as casual looks grew more en vogue, pocket squares were more difficult to come by. For a while, it seemed the only thing men used their breast pocket for was a pen, sunglasses or a business card. 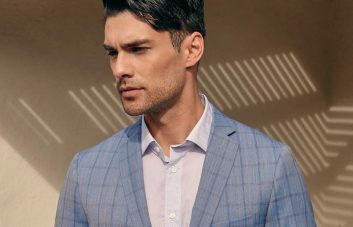 But we’re seeing a resurgence in the popularity of the pocket square—it can take an outfit from zero to 10 in no time and it’s much easier to pull off than many may think. 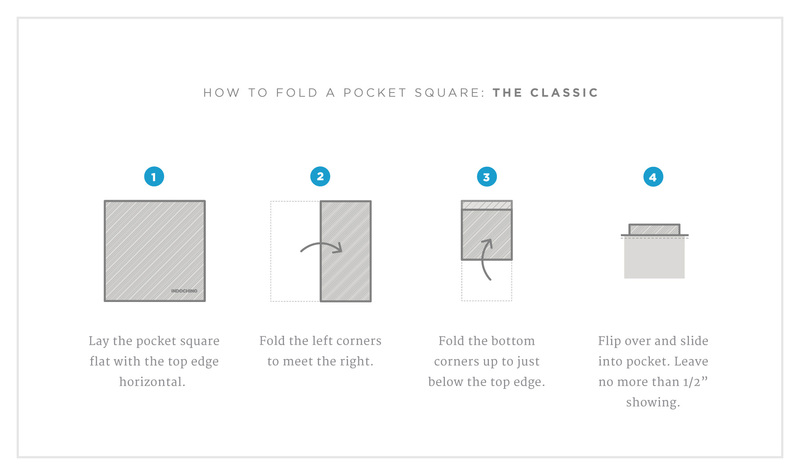 Here’s a look at how to fold one and incorporate it into an outfit. 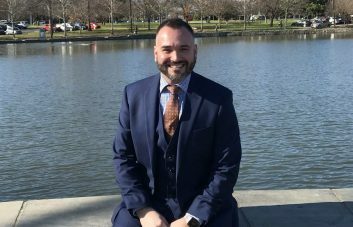 The pocket square is the finishing touch on a suit—some even refer to a suit without one as being “naked.” It’s a great chance to show off some fashion finesse by coordinating it with colors in your tie. 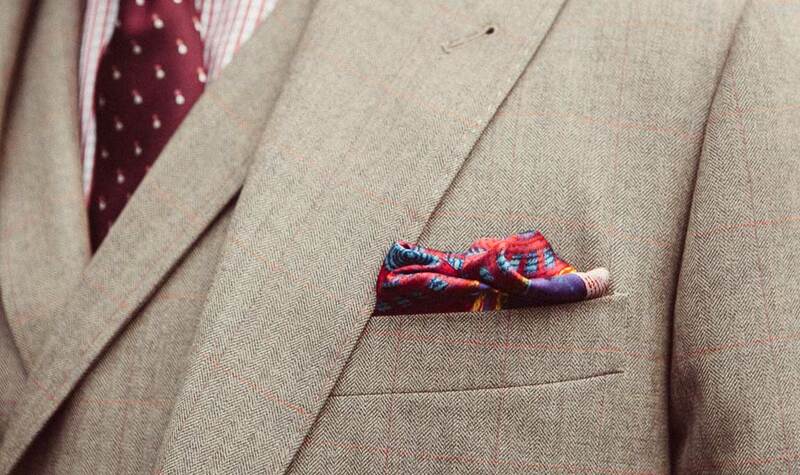 Because a pocket square will come in either a solid color or patterned print, you can play around with it. If your tie has a pattern, draw on some of the less-dominant colors and pair it with a pocket square in one of those colors. Avoid being too “matchy-matchy” and pairing a solid tie and pocket square of the same color; rather, keep your colors complementary to each other or add interest by mixing patterns. A white pocket square can be paired with any tie, so make sure you have this timeless staple in your wardrobe. There are numerous ways to fold a pocket square, but these are three of our favorites, which range from casual to formal in style. Perfect for casual situations, the Classic fold is the simplest and one that every man needs in his arsenal. 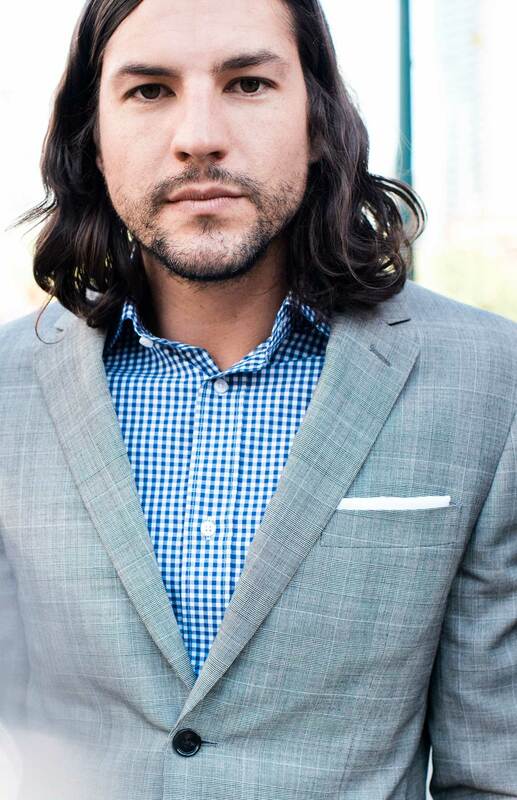 Begin by laying the pocket square flat and folding it in half lengthwise. Next, fold the bottom corners up to just below the top edge. 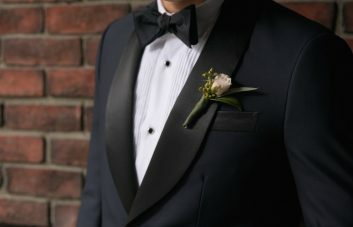 Slide the pocket square into your breast pocket, and leave half an inch showing. Another fold that’s easy to master is the Puff fold. Lay the pocket square flat, pinch it in the middle and lift it up, letting the fabric fold naturally. Gently gather up the fabric at the bottom and place it in your pocket. Adjust accordingly. Both the Classic and Puff folds are casual and business appropriate—it really comes down to a matter of style preference. 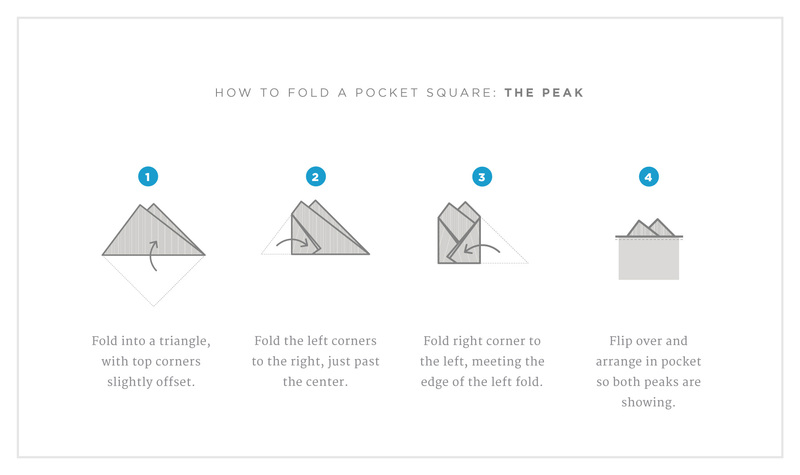 The Peak fold is a traditional way to show off your pocket square and is a more formal look. To achieve this fold, lay the pocket square down flat, then bring up the two opposite corners to form a slightly offset triangle. Fold the left side over just past the center and do the same with the right side, forming two peaks at the top. Flip it over and place it in your pocket, arranging the peaks so that they are both visible. You can raise or lower it depending how much of the peaks you want to show. It’s the details that make the difference, and a pocket square is just the thing to spruce up your look in five minutes or less. Build up a collection of them for an easy way to change up your look throughout the week.